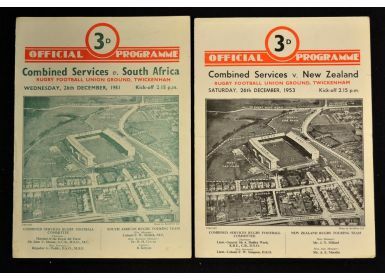 Combined Services v S Africa & NZ Programmes (2): a pair of Twickenham Boxing Day issues, from 1951 against the Springboks and 1953 v the All Blacks. 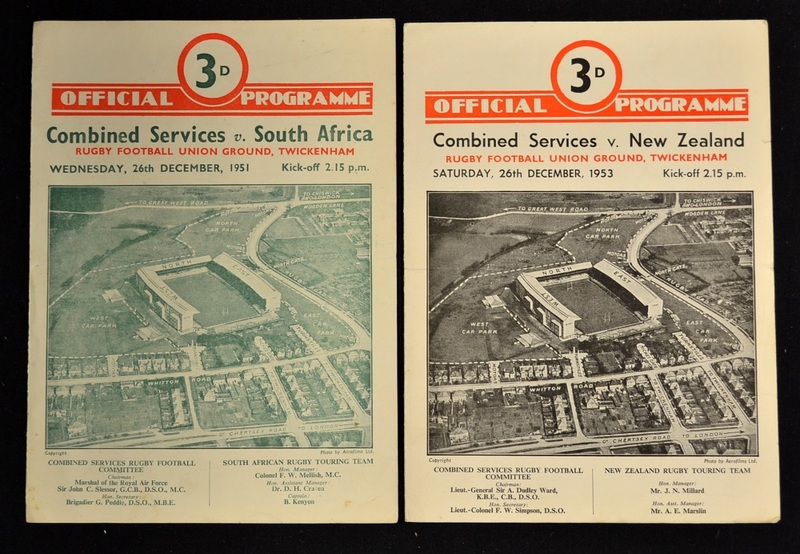 Both in good order with usual folds and neat team changes only. Collectable.